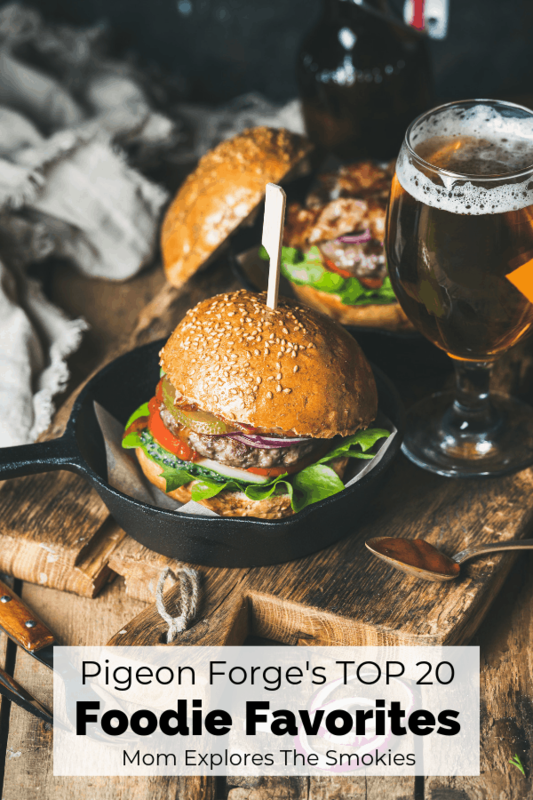 Popular with both locals and visitors alike, these fantastic restaurants in Pigeon Forge were chosen for their budget friendly prices and high customer reviews. 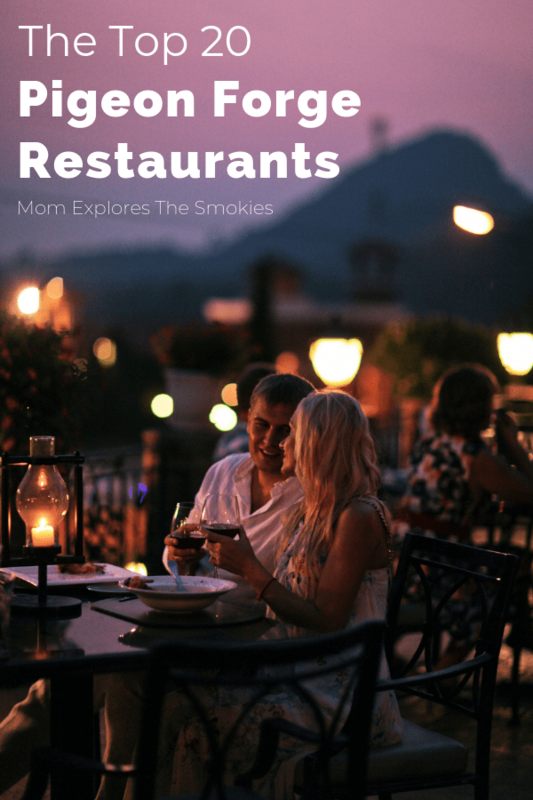 Whether you are a couple of foodies or a sprawling family, these Smoky Mountain eateries offer a variety of cuisine to meet everyone’s needs. Families with kids may also want to check out our great list of restaurants where kids eat FREE. This farm-to-table gem is super popular with the locals. Everything served at this restaurant is made from scratch daily. In addition to a wide variety of craft and specialty beer, you can order all your American favorites including wings, burgers, salads, sandwiches, wine, cocktails, and more! Many menu items are given a distinctive southern twist including the pimento burger and blackberry sweet tea. Yum! 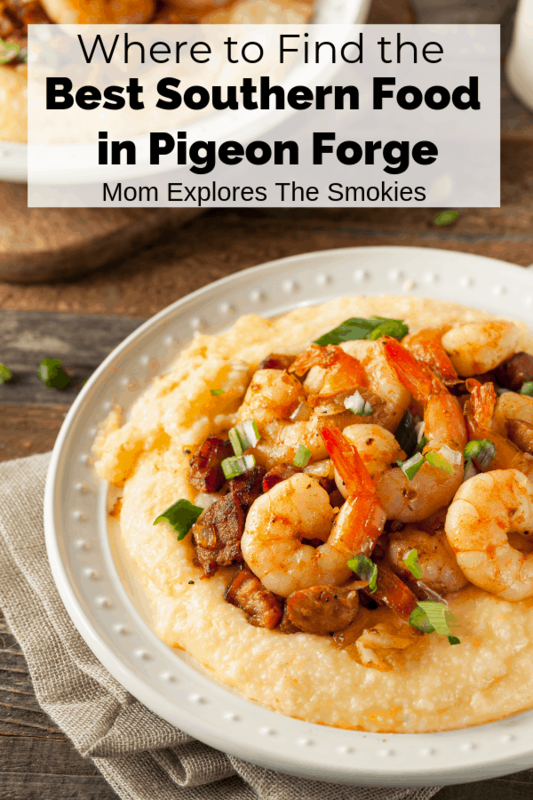 Although this fabulous Pigeon Forge restaurant is newer, it is quickly becoming an area favorite. The menu features a mix of authentic German dishes, American fare and what I like to call “Germeican” food, like pretzels with beer cheese. Of course, they also have a variety of cold and delicious German beer. Although the kids menu is small, kids are able to make healthier choices by skipping the fries and opting for fruit or applesauce as their side. This family-owned deli is known for its larger than life sandwiches, served on soft homemade bread and sub rolls. They also offer deliciously gourmet soft pretzels, again made from scratch. Don’t forget your soup or salad to complete the meal. Yum! This nostalgic diner serves up a variety of traditional favorites including country fried steaks, “home cookin’ delights,” burgers, sandwiches, soups, salads, and more! With its rustic theme, JT Hannah’s really has an amazing atmosphere. Here they serve up gourmet burgers, steaks, ribs, pasta, seafood, salad, and an extensive gluten free menu. They also have a wide selection of craft and specialty beer. This Pigeon Forge restaurant is a top favorite among locals for it’s delicious food and affordable prices. The menu consists of appetizers, burgers, wings, and a variety of hot sandwiches/wraps. One of their most popular offerings is their 25 wing platter, which allows you to choose up to 5 different flavors! They also offer a large selection of craft and specialty beers, which are rotated seasonally. This delicious surf-and-turf restaurant is serving up all your favorites for lunch and dinner including salmon, tuna, crab cakes, steaks, chicken, burgers, and more. They also offer a limited, and fancier, Sunday brunch menu, if your’re looking for a special treat. Although the restaurant specializes in catfish, they also offer chicken, steak, and a variety of other fresh water and seafood options. All meals come with “all you can eat vittles” including homemade coleslaw, baked white beans, choice of french fries or homemade mashed potatoes and gravy, delicious southern hush puppies, dill pickles, and onion slices. This yummy BBQ shack is totally no frills serving just excellent pulled pork, chicken, brisket, ribs, sausages, sides, and drinks. The locally owned East Tennessee chain is also famous for its southern barbecue. As a traditional restaurant, they also serve up ribs, pulled pork, streak, burgers, wings, salads, sandwiches, and more! Sawyers serves up some pretty mean burgers and chicken sandwiches, but breakfast is where they really shine! They offer a wide variety of crepes, pancakes, and waffles in many decadent flavors. Of course, they also serve omelettes, eggs, and biscuits with gravy, a southern staple! Located in the Old Mill area, this southern homestead turned eatery is one of the most well known restaurants in Pigeon Forge. As an added bonus, the charming courtyard encompasses all the southern charm you’ve been dreaming of for your country vacation. While here you will dine on handcrafted stoneware, hence the sweet little cafe name. Menu items include steak, grilled salmon, fresh local trout, southern comfort foods, and American favorites. You can also enjoy a variety of scrumptious baked goods and desserts including piping hot bread, made from fresh flour milled on-site. A favorite for both breakfast and lunch, guests rave about the pancakes, which are thankfully served all day! Head on over to their Facebook page to read all of the numerous reviews citing them as, “the best pancakes I’ve ever had.” Now that’s a good pancake! If you hate pancakes (what?! ), the cafe also serves a variety of other American breakfast foods, as well as soups, salads, and yummy baked goods. This small locally owned restaurant also offers really affordable prices. This locally owned gem serves up authentic Cuban food for both breakfast and brunch. You are sure to find all your favorites including Cuban sandwiches, plantains, and yucca fries. it doesn’t get better than that! Located on The Island, this fun restaurant serves up all your American favorites including burgers, ribs, streaks, sandwiches, salads, and more. When you’re finished your meal, you can enjoy a free fountain light show right outside the door! This locally owned East Tennessee chain is another local favorite. With a family sports bar atmosphere, this tasty restaurants offers up all your American favorites including burgers, wings, gourmet salads, and delicious pizza! As a brewery, they also have a variety of delicious signature brews on tap, as well as a full bar. If you are in the mood for absolutely delicious German bratwurst, loaded french fries, and creative Belgian waffle desserts, this is the place for you! This local chain serves up delicious wood-fired pizza and has multiple locations throughout the area. In addition to fabulous pizza, the also serve a variety of appetizers, salads, and sandwiches. 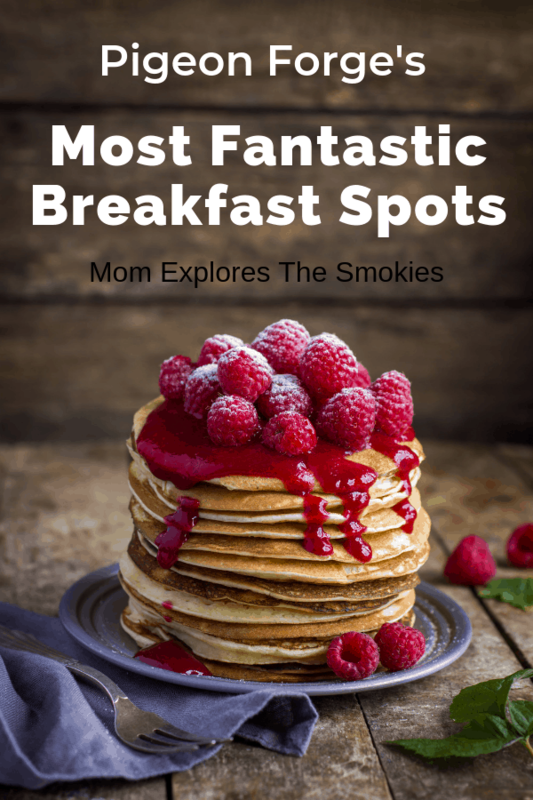 Featured in Southern Living Magazine as one of the “South’s Best Flavors,” this small regional chain offers several locations throughout the Smokies. Serving a variety of tasty breakfast items, their claim to fame is of course, the pancakes. You can even create your own stack, choosing from 10 different toppings. A fun southern chain with a trippy atmosphere, this restaurant in Pigeon Forge serves up delicious gourmet pizzas like the Kosmic Karma, and the Holy Shiitake Pie. They also serve a variety of more traditional pizzas, salads, and sandwiches. They are well known for their spring water dough and their HUGE selection of craft and specialty beer.